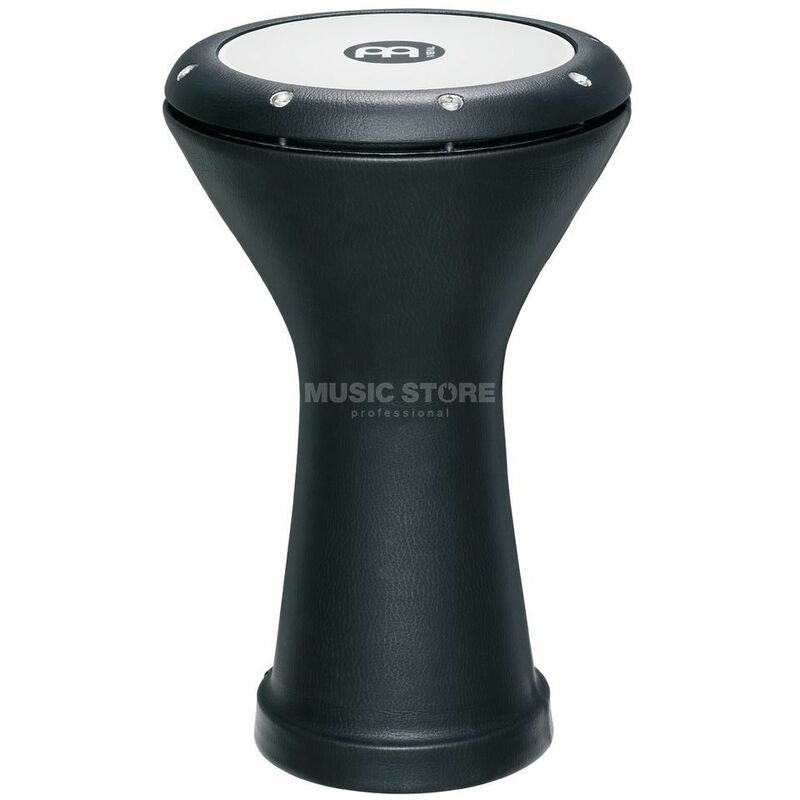 Meinl HE3000 Doumbek 8.5-inch Aluminium, Black Vinyl Covered - Come from the same geographical points of origin as the darbukas, and are a favorite choice of drum for percussionists worldwide. Meinl doumbeks feature an ergonomic, Egyptian-style rounded rim with internal tuning lugs and a synthetic head. The bearing edge is carefully machined to assure consistent tuning. The doumbeks are well suited for fast finger-roll techniques and have a strong projection. The shells are constructed from various materials, each offering a wide range of timbres, weights and visual aesthetics.